Perry Auto Sales is a family owned and operated business that was opened by Alex Poppen in September of 2017. Alex had a vision to be your one stop shop for all truck needs. Perry Auto Sales currently has 6 total employees. Want to know our staff? Check out the "our staff tab" to learn more about our backround and history. Perry Auto Sales strives to be the #1 truck dealer not only in Michigan but all of the Midwest. When you buy a truck from Perry Auto Sales you can buy with confidence. We take pride in the trucks we sell as if they were are own. We specialize in selling late model Duramax, Cummins and LS trucks. We search high and low to find these trucks. Some trucks are bought locally, some are shipped in from all over the nation! We focus on quality when searching because we know what you want! Clean trucks that are going to last a long time! People come from all over the nation to buy our trucks and there is a good reason for it! Every vehicle brought in goes through a thorough 21 point inspection. All vehicles then are serviced and cleaned before you buy them! This ensures you can buy with confidence. Now to the fun stuff. 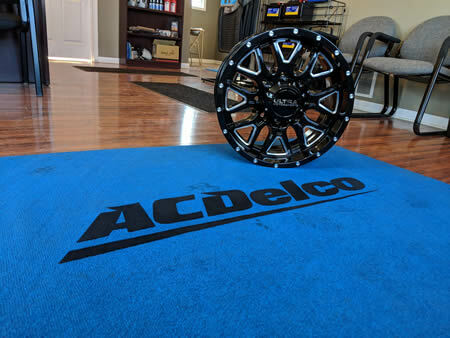 Everyone of our trucks can be fully customized right on sight! Stop spending your time searching for many different shops to do all of the modifications! We do it ALL. Right on sight. We want to build you the truck of your dreams. We specialize in trucks! When it comes GM LS engines or Diesel Trucks. We know best! Don't just buy any truck. Buy your truck. Let us build it for you.